Phobya connector element with 2x G1/4" inner threads with integrated bearing for many applications. Prevents hose twisting! The special feature of this connector piece is the ''Anti-twist'' element. As hoses tend to twist themselves whilst fastening union nuts or bending them in large radiuses Phobya now offers a solution! 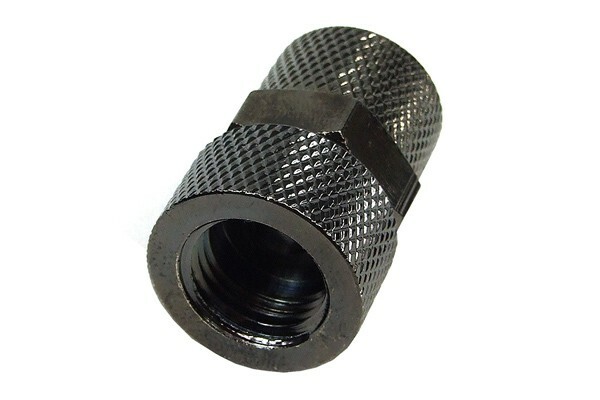 The integrated bearing allows free spinning of the two knurled connector ends which prevents the hoses from twisting and therefore kinking which often massively reduces or even stops the flow in watercooling systems. Inner thread G1/4" to inner thread G1/4"